My friend, Tina, gets a lot of credit for this cake. She helped me a ton and was the one who figured out how to make a ball-shaped cake. We basically baked 2 cakes in a glass bowl and put them together. 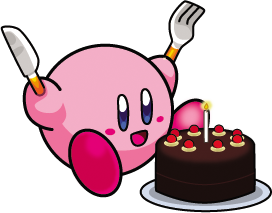 We chose Kirby to go on the “pink round character” theme since we made a Jigglypuff cookie cake previously. One of our first fondant experiences! 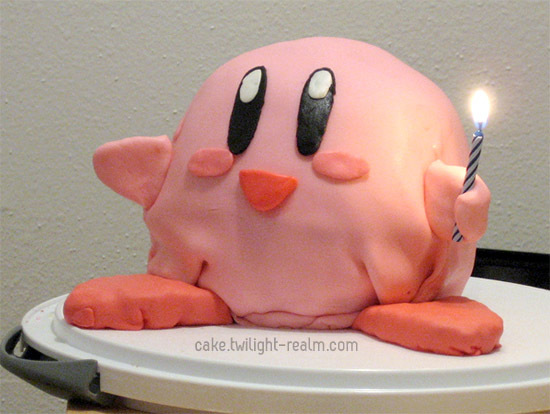 Poor Kirby looks like he’s melting.